The adult film star's lawyer compared Trump to the late mafia don John Gotti. Stormy Daniels vowed to hold President Donald Trump’s feet to the fire and continue to try to legally force him to sit for a deposition about their alleged affair and a $130,000 hush money payment. Her comments came in an appearance with attorney Michael Avenatti on ABC’s “The View” Wednesday, days after lawyers for Trump and his former personal attorney Michael Cohen each filed court motions indicating they would no longer challenge the validity of the non-agreement, or seek to legally enforce the deal. Daniels – who has been embroiled in a lawsuit against Trump and Cohen that seeks to invalidate the agreement and let her speak without fear of legal retribution -- said there was a time when that would have been enough. She has previously offered publicly to return all the money and dissolve the agreement so that she could continue to tell her story. But that time, she said Wednesday, has passed. “I realized that, ‘Now you want to make that offer? Oh, now you want to make this offer? '” she said sarcastically. “But everybody remembers for months, we offered to return the money and … they wouldn’t accept it. 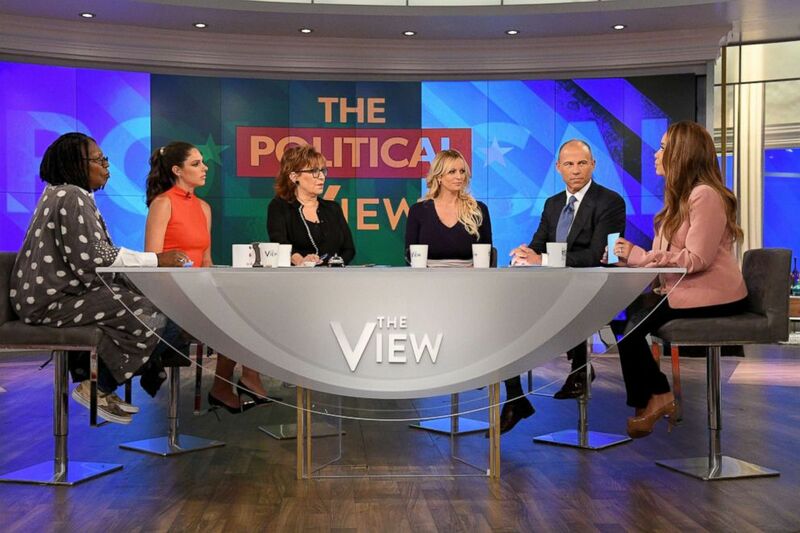 (Lorenzo Bevilaqua/ABC) Stormy Daniels appears on "The View," Sept. 12, 2018, alongside her lawyer, Michael Avenatti. Trump has denied the allegation and maintained that he did not know about the settlement agreement until after it was signed. He has recently acknowledged reimbursing Cohen for the costs of the deal. They used to call John Gotti -- they called him the Teflon Don, and they used to claim he was untouchable...right up until he wasn’t, and he died in a penitentiary. Last month, Cohen pleaded guilty to felony violations of campaign finance laws and said he had been directed by Trump to make payments to two women during the 2016 campaign to keep them from publicly claiming to have had affairs with him. For his part, Avenatti acknowledged that the lawsuit is in part motivated by politics, and compared the president of the United States to the late New York mafia don John Gotti. 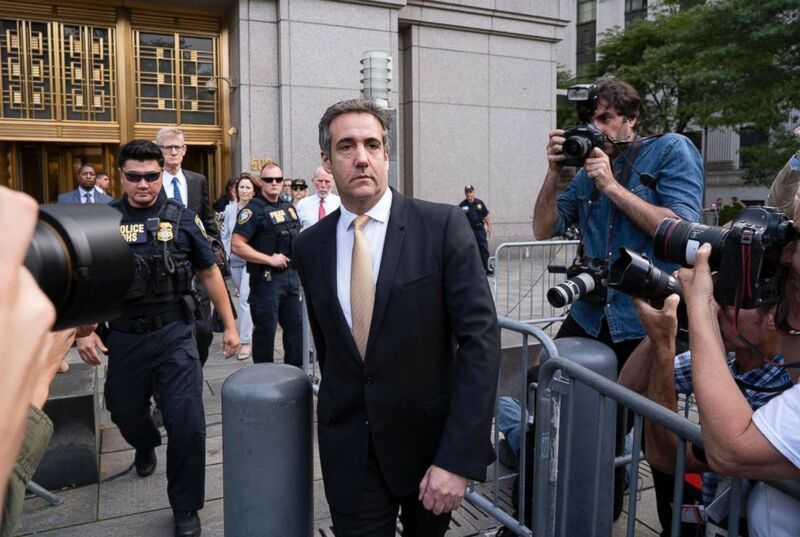 (Craig Ruttle/AP, FILE) Michael Cohen, former personal lawyer to President Donald Trump, leaves federal court after reaching a plea agreement in New York, Aug. 21, 2018. Asked whether he thought his efforts would turn any Trump supporters against the president, Avenatti said he hoped so. “They used to call John Gotti -- they called him the Teflon Don, and they used to claim he was untouchable, right up until he wasn’t, and he died in a penitentiary." Now you want to make that offer? Oh, now you want to make that offer? In the closing days of the 2016 presidential election, Daniels and her attorney agreed to a $130,000 settlement agreement that prevented her from publicly discussing her alleged sexual encounter with the future U.S. president during a celebrity golf tournament in Lake Tahoe in 2006. For months, Trump and Cohen insisted in court that the agreement was binding, and even threatened to sue to recover the $130,000 after Daniels began speaking out about their alleged affair. Cohen made the payment, which Trump maintains he did not know about until after it was signed. He more recently acknowledged having reimbursed Cohen. Over the weekend, Trump and Cohen each filed notices with the court indicating they would no longer contest Daniels’ claims that the deal was invalid, nor would they seek to enforce the deal. They also promised not to sue Daniels, whose legal name is Stephanie Clifford, over any alleged breaches of the non-disclosure agreement. With that, Trump’s attorney, Charles Harder, asked the judge to remove Trump from the lawsuit. 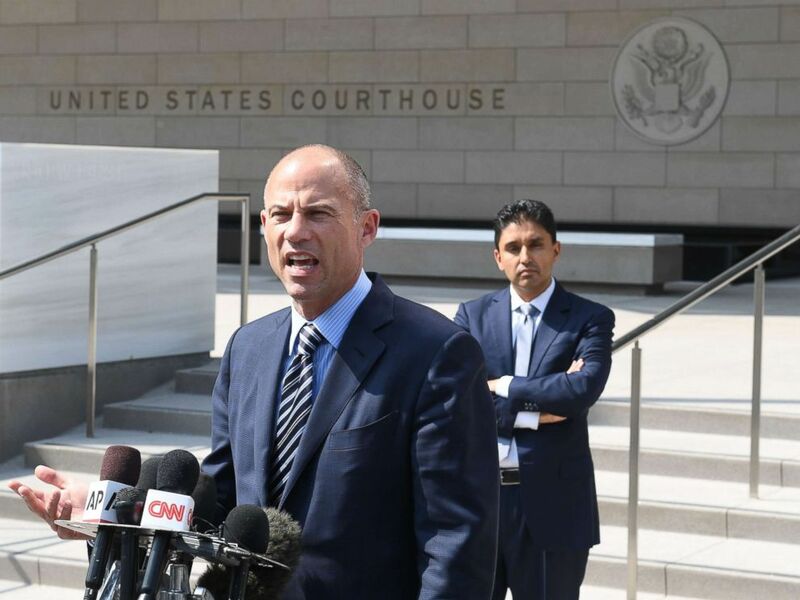 (Mark Ralston/AFP/Getty Images) Michael Avenatti, the lawyer for adult film actress Stormy Daniels, speaks to the press after a court hearing at the United States Courthouse, July 27, 2018, in Los Angeles.